Ever since English occultist John Constantine moved to Manhattan, the city has grown more magical by the day—in a BAD way. The Swamp Thing is out of his element when Central Park itself begins eating the city’s young lovers alive. A demonic infestation has taken over the city’s magical hotspots, forcing the powerful sorcerer Papa Midnite out of his supernatural nightclub and onto the street. And one of hell’s most lethal lords, Neron himself, joins forces with Constantine’s infernal ex to make New York a deadly offer it cannot refuse. 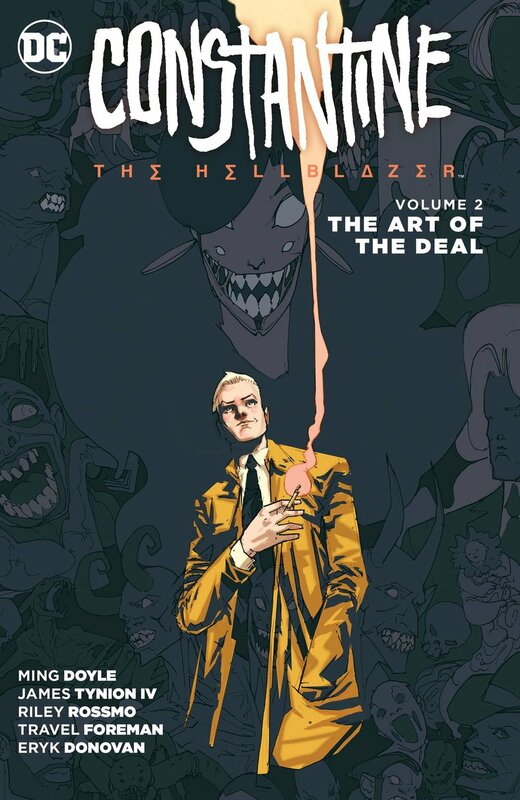 Now Constantine must blaze a path through the most perilous places in this world and beyond, from the alleys of New York City to the bright lights of Los Angeles, from the mystical realm of Faerie to the bloody highways of Hell itself. To save his city’s soul—and what’s left of his own—he’ll need to work alongside enemies and allies, magical mistresses and a certain dead man. But how can John defeat evil when even he can’t deny the devil’s dark allure?